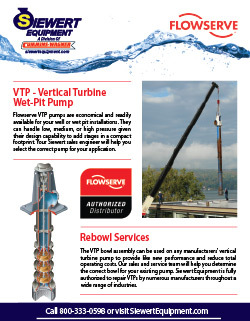 Call 800-333-0598 for 24/7 Service. 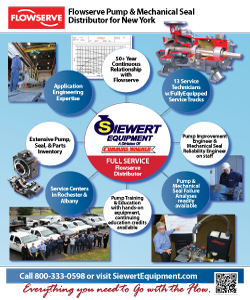 Siewert Equipment offers a complete array of service options including installation inspection, precision alignment, startup commissioning, preventative maintenance, troubleshooting, repair, and reliability engineering services. 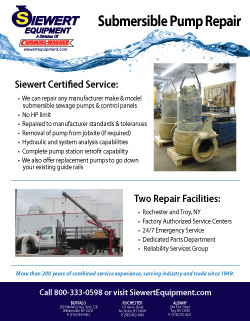 With service centers in Rochester and Albany, we are here for your pump repair and other rotating equipment services. 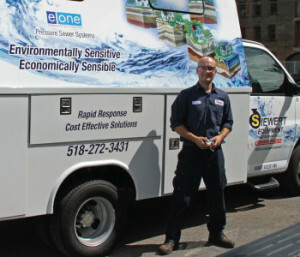 More than 200 years of combined service experience, serving industry and trade since 1949. 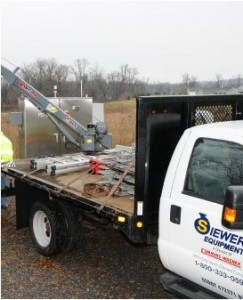 Two locations: Rochester and Albany NY, well equipped, and fully stocked. 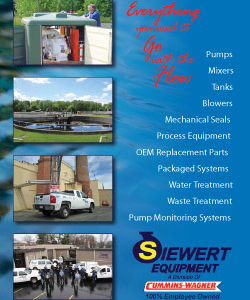 Vast array of pump repair and many other technical services. 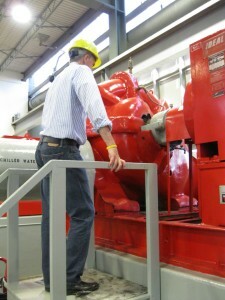 Pump Performance Improvement. 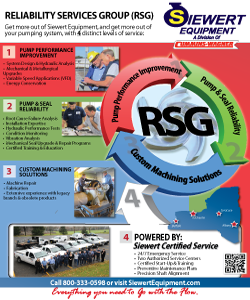 Pump & Seal Reliability. 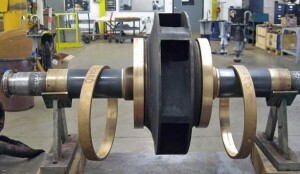 Custom Machining Solutions. 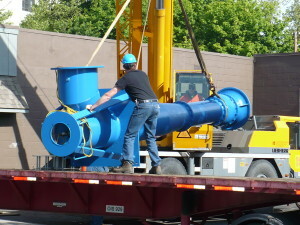 In-shop repair services for your pumps and other rotating equipment. 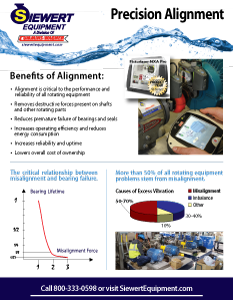 Precision shaft and v-belt alignment for new and existing equipment. 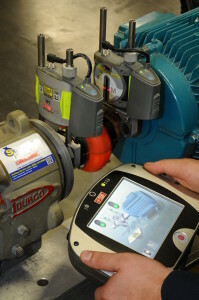 Preventative and proactive service agreements to suit your equipment needs. 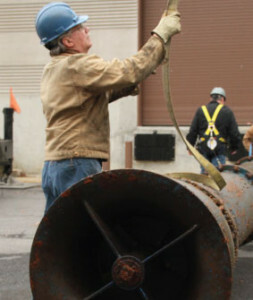 Services for E/One and other sewage grinder pumps and pump stations. We are committed to the safety of our employees and work facilities.